Your ability at squatting and deadlifting can have a tremendous influence on your bodybuilding progress. But how well you perform squats and deadlifts is heavily affected by your leverages — your relative torso, thigh, and leg lengths, and relative femur (thighbone) and tibia (shinbone) lengths. 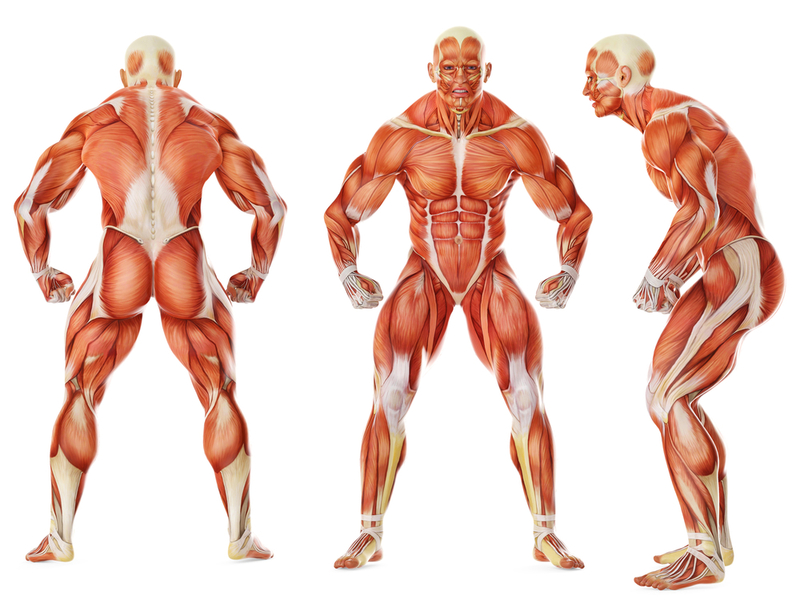 And there are other important structural factors, including muscle insertion points (that vary from person to person, to some degree), which influence squatting and deadlifting efficiency. Although they may train both exercises with equal dedication, some bodybuilders will squat more than they deadlift, others will deadlift more than they squat, while others will lift similar weights in both. Bodybuilders who are built well for squats tend to have legs and thighs of average or shorter-than-average length relative to their height. But bodybuilders who are built well for squats often struggle in the deadlift, relatively speaking, especially if they have short arms and forearms. Short legs and thighs together with a long torso may not be well suited to conventional deadlifting. But long legs and thighs can inhibit deadlifting because, when the knees are bent, the knees can get in the way of a straight barbell, and compromise technique. Short legs and thighs may be fine for the deadlift, however, depending on the lengths of the torso, forearms, and arms, and other structural factors. And forearm and arm lengths by themselves are also influential in the deadlift — long ones favor the exercise. Furthermore, the relative lengths of legs, thighs, torso, forearms, and arms affect leverages, which in turn affect deadlifting ability. Don’t obsess over your structure as it affects the squat, and the deadlift, but be aware of the general relationship. Provided you can squat and deadlift safely, train the exercises hard and progressively. A few bodybuilders have ideal physical structures for the squat, and the potential to build up to using astonishing weights relative to their bodyweight. But in some cases they don’t have the potential for building big muscles, thus they develop great squatting strength but at a low bodyweight. Some others, too, have excellent physical structures for the squat, but they also have the potential for building big muscles, so their squatting produces great muscular gains. Similar comments can be made for the deadlift, too. Most bodybuilders, however, have average leverages, and average potential for muscular growth. It may be, however, that any difficulty you have with a particular exercise is related to physical anomalies or soft-tissue scarring, which are correctable or at least can be minimized, with the appropriate, treatment. The right treatment can produce wonders.